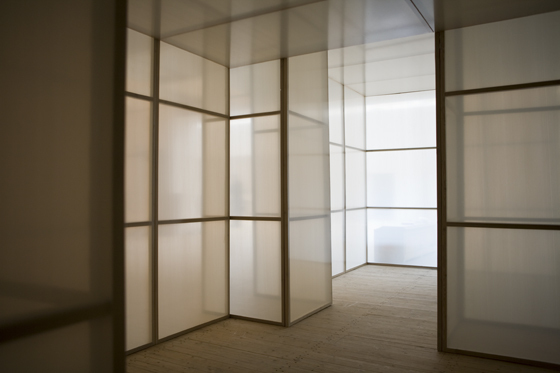 In the work Kulisserna [The Stage Set] Simonson makes spatial interventions between the longer exhibitions in Malmö Konsthall. He creates structures hovering between the categories of painting, architecture and sculpture, playing with the audience’s relationship to and experience of the hall. 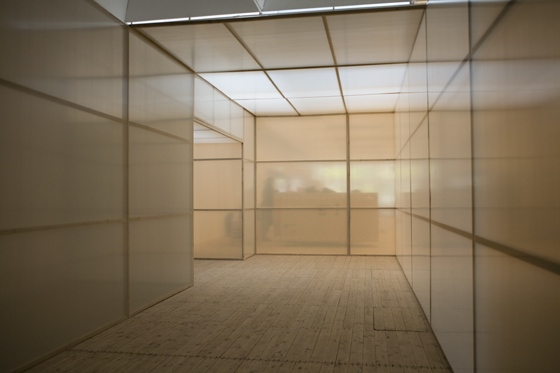 Semitransparent modules of wood and plastic canvas form an architecture in the space between the entrance and the existing exhibition. The architecture both hide and expose the space. The public experience the time and the process between exhibitions, that is usually not seen or experienced. 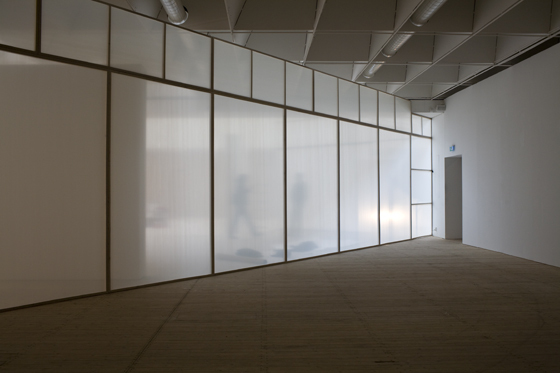 The physical relationships in the exhibition space change through the work, and the public is confronted with the process of dismantling an exhibition and installing its successor, through abstract images and sounds of the staff and the work that is being done on the other side of the semitransparent walls. For the third and last version of Kulisserna, the mounting of the installation was recorded on video from four different angles. 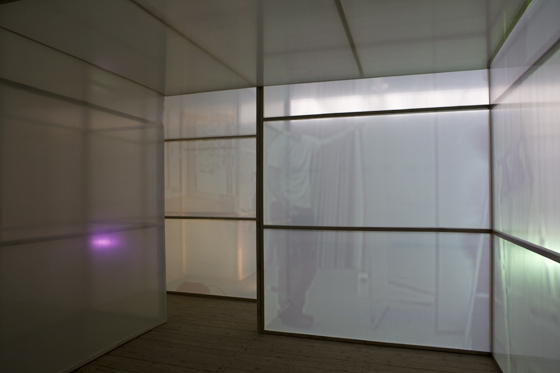 This documentation was then projected from the same angles, by four projectors, onto the completed installation.